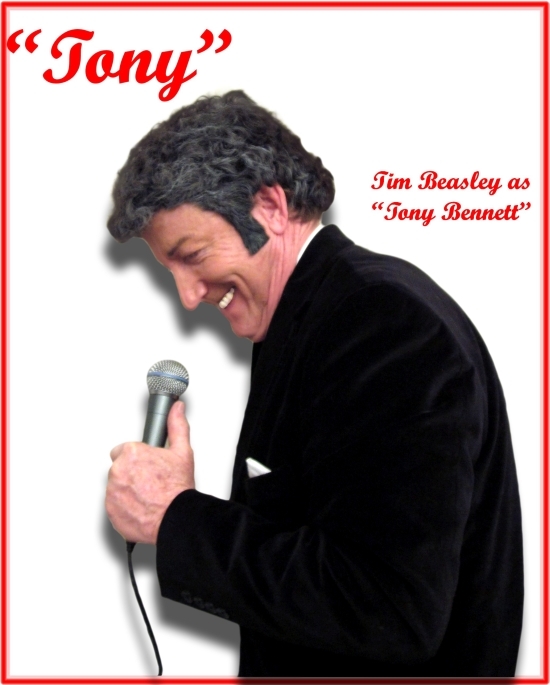 Tim Beasley’s performances as "Tony Bennett" are live and fully detailed tribute impersonations as the man Frank Sinatra considered "the best singer in the world." Wearing a match to Tony Bennett’s signature "ear to ear smile" and full-head of curly graying hair, with those twinkling eyes, and adding a sharp tux, smooth smokey vocals and cool casual stage presence, Tim magically transforms into the very likeness of Tony- and they even share the same monogram! 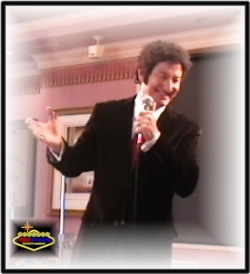 From those legendary great stage performances of Las Vegas, Atlantic City, Lake Tahoe and many more coast to coast, Tim will recreate that "Old Black Magic" for your special entertainment event. "Steppin’ Out With My Baby"
"They Can’t Take That Away From Me"
Perfect entertainment for any glamorous event, Tim as “Tony” adds a great element of mature sophistication that is sadly lacking in most of the musical entertainment today…. Booking nationally & internationally with valid passport.